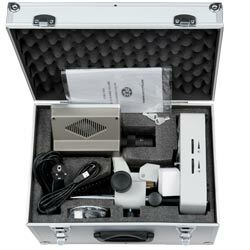 The workshop microscope consists of an optical microscope, a CCD camera and a LC display. Due to the 75 x magnification, small construction parts can be displayed in detail by means of that workshop microscope, thus it is ideal to apply in workshops (e.g. 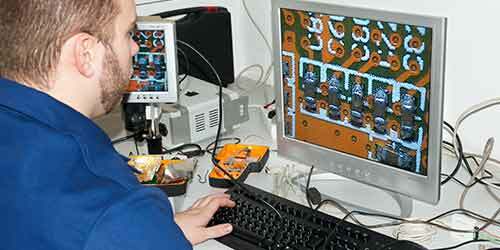 to analyze braze-points on circuit boards, faults in the material on metallic surfaces, ... ). 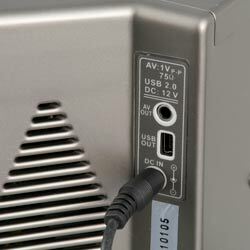 In addition the images displayed at the monitor can be transferred to a computer by the USB interface and thus they can be further edited (therefore a special software is required that is not included in delivery). Furthermore the workshop microscope PCE-VM 21 enables you to analyze larger objects due to an adjustable height. 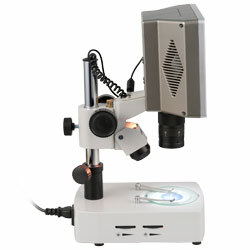 The workshop microscope supports a transmitting as well as a reflecting light function. So both, transparent and firm non-transparent objects, can be displayed. Due to this function the workshop microscope is very variable in terms of its application and stands out with its simple handling, easy to integrate into the day to day work flow. If there are any questions about this workshop microscope PCE-VM 21, please have a look at the technical specification below or call: UK customers +44(0) 23 809 870 30 / US customers +1-410-387-7703. 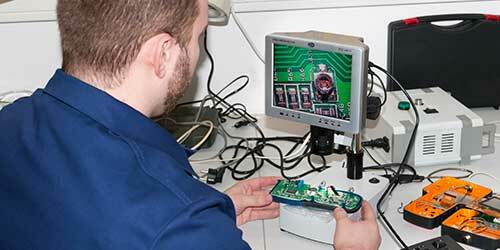 Our engineers and technicians will gladly advise you regarding the microscopes or any other products in terms of regulation and control, or scales and balances of PCE Instruments. 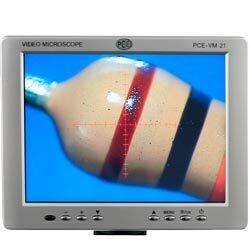 Workshop microscope PCE-VM 21 with large 8" LC display. 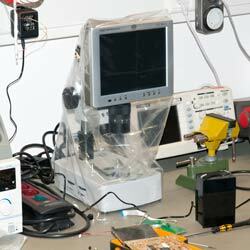 Here you can see the workshop microscope during inspection of a circuit board via display. The interfaces of the workshop microscope PCE-VM 21. Via an USB interface the workshop microscope can be connected to a computer. Therefore a special software is required (not included in delivery).